Last week I headed to San Diego to visit a few friends, and it was AMAZING. The weather was absolutely perfect (shout out to 75 degrees and sunny skies all weekend long) and I ate a TON of amazing food. Besides eating tons of food, I checked out the San Diego Zoo, Carlsbad Marathon (which my friends were running in), wineries, and spent the rest of the time lounging on Pacific Beach. 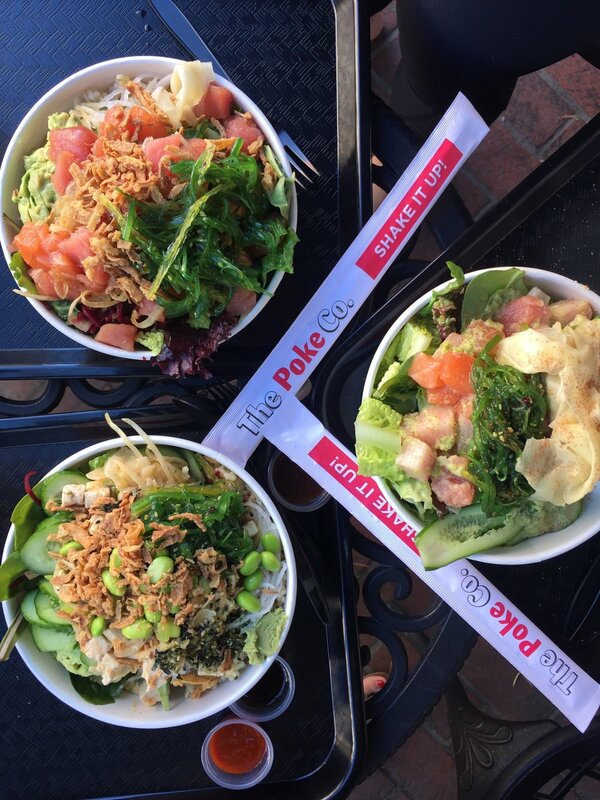 Amazing poke bowls and about triple the amount of fish you get in Boston, for the same price. Definitely recommend if you're a fan of poke, fish, or sushi. This is in the Gaslamp district of downtown San Diego, tucked in on a side street. PLUS you get free avocado, what could be better?! Not a pic of coffee (obvi) but this is the view right outside of this shop. Except it's not even a shop, it's more of a combo of a cart and shack with amazing iced coffee. Highly recommend for all your beach strolling, I went here EVERY day and watched the ocean. 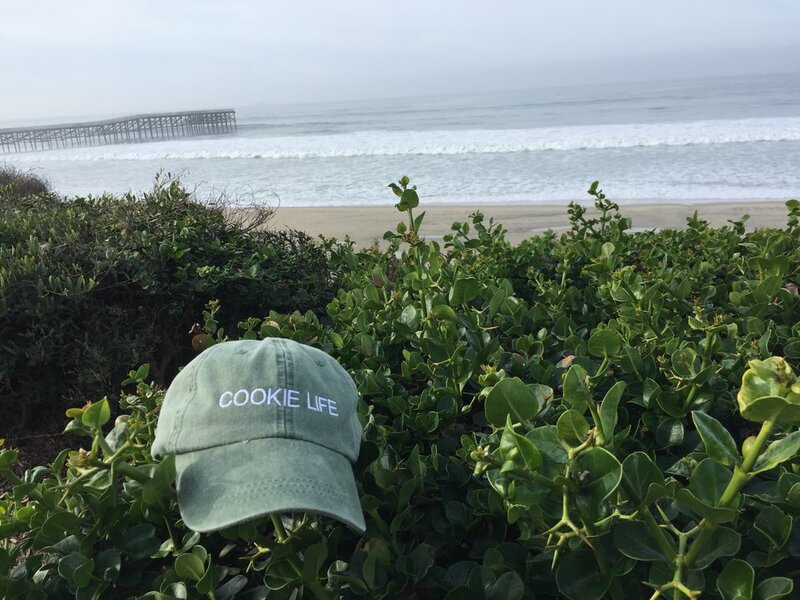 I also tossed a cookie life hat into the bushes at one point to take this pic and got a few weird looks...worth it, right? Ok so I went to Konos once a day....but I also went to Better Buzz Coffee once (or twice) each day as well....I swear I'm not addicted to coffee. Located in downtown Pacific Beach, Better Buzz Coffee took the cake for me above Konos due to it's amazing slogan (see above pic) and the strength of their coffee - TOO GOOD. It's a bit of a stroll from the main beach, but is def worth it. You haven't truly lived until you eat an acai bowl from The Mad Beet in Pacific Beach. Not only are these PACKED with tons of fresh fruit, but they're bigger than my face and you just feel amazing eating them. Went here for brunch on Friday, and walked out incredibly stuffed. Even though I wish all this food was for me, sadly it was not and I had to share. We got a flight of pancakes, tostados, bacon wrapped breakfast hot dogs (amazing invention), and MUCH more. Great decor and branding here, you feel very alive and comfortable at the same time. Great for brunch or breakfast (as said in the name...)! TACOS and CALAMARI - what more can you ask for? Mitch's is located on Point Loma and the view overlooks a beautiful harbor filled with sailing and fishing boats. I had the mahi mahi + swordfish tacos and some of the best calamari ever. Highly recommend for when you're craving classic fried seafood and a beer. Okay so I ate a LOT of tacos while I was in San Diego, sometimes twice in a day. Sounds aggressive I know....but you would have done the same thing. Everything is just so fresh that i couldn't eat anything else! Pacific Beach Fish Shop has so many types of fish and you get to handpick exactly how you want it, taco style, plate, sandwich, etc. You can also choose what seasoning and toppings you want!! Super customizable and they have flour tortillas (which I personally prefer to corn). If you like fish, you must come here while in San Diego. I went to a bunch of other places, but these were the absolute BEST. Stay tuned to where we are heading next! !